We are dedicated to promoting and representing the hunting lease industry in its pursuit to provide hunters and landowners with safe, ethical lease arrangements that benefit and protect all parties. We are committed to uniting the hunting lease industry and securing the industry’s role in our evolving hunting heritage. Montana’s Initiative 177 was soundly rejected by voters in the Gem State on the Nov. 8 ballot. The initiative would have banned trapping on the state’s public lands and forced private landowners to document the used of non-lethal means for at least a month before using traps to resolve nuisance wildlife issues. While the final tally is still being determined, a vast majority of precincts have already reported and sportsmen are winning by a wide margin, 63 – 36 percent. 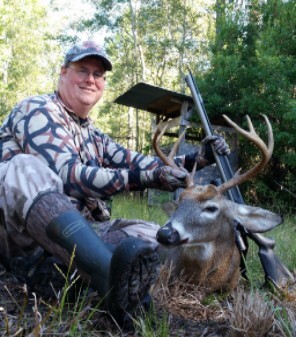 The American Hunting Lease Association wants to send out a congratulations to some of our friends at the Charcoal Island Hunt Club in Florida. They sent us a couple pictures of their successes this season. Great looking bucks, guys! We always look forward to this time of year when members send us their pictures! Keep them coming! MARK SHEPHERD FROM SOUTH CAROLINA IS OUR OCTOBER WINNER! BECOME A PREMIUM MEMBER! Congratulations to Mark Shepherd of Walhalla, SC on being picked as the October Premium Membership drawing winner! Daryl received a HSS Hybrid Vest, a 24x30 glossy aerial print of his hunting lease from Hunting-Maps.com and a Hunter Safety System Lifeline. The AHLA has developed the Certified Associate program to help hunters and landowners identify reputable hunting lease companies. All AHLA Certified Associates have a demonstrated history of excellent business practices and a trustworthy reputation.  If you are a landowner looking for help marketing your land or a hunter searching for your dream hunting spot, an AHLA Certified Associate can make it happen! Look for our Certified Associate logo to make sure the company you choose has the right stuff! In a previous newsletter the AHLA took a strong stand against preventable tree stand falls. Citing data compiled by the Tree Stand Safety Awareness initiative, tree stand falls accounted for 11 deaths in 2015. That doesn’t reflect the countless and unreported falls causing serious injuries. As an industry we are in a position to move the needle in the right direction and prevent families and loved ones from being forced to deal with the devastating consequences of a tree stand fall. We are proud to announce that we reached out to the leaders in tree stand safety innovation, Hunter Safety Systems to join us in our effort to eliminate tree stand falls. HSS was immediately on board and made a generous offer to all AHLA member hunt clubs! When you purchase your hunting lease insurance through the American Hunting Lease Association, you will receive an exclusive discount code with your certificate of insurance. Your discount code will give you $10 off of your purchase of an HSS Lifeline and FREE SHIPPING! But they weren’t finished! All AHLA member clubs will also receive a $15 discount when they purchase the new HSS HANGER HARNESS designed specifically for hanging stands. When you receive your certificates of insurance, please share the code with your club members so they can hunt safe this fall! WHITETAIL HEAVEN! Over 600 acres of 5 STAR whitetail habitat in WAUPACA and SHAWANO Counties. These counties are #2 and #3 in the state for deer harvest as well as producing huge bucks! This property has produced 170" class bucks in recent years along with several other trophy bucks in the 130" to 150" range. We appreciate all of our past liability companies (NRA, QDMA) but feel you all are the best! We have never had club concerns for insurance and trust that we never will. However, it gives peace of mind to know that we do have good coverage. Thank you. You guys have been "spot on" in regards to customer service and the quick timing y'all address customer issues in! Other companies could take lessons from y'all! "The process and coverage could not be better we appreciate your service and look forward to using you in the future!"